P.S: Download now & use them to start improving your conversions in less than 24 hours. A few words on the dimensions, the lens specs, shipping and a good return policy are enough to sell it. You don’t need anything else to persuade people. But then there are products like this Grilling Multi Tool which needs to have an edge over competition. It needs to appeal to the user’s imagination for its functionality and use cases. And a well-written product description that convinces people will increase its sales too. If your product sells for its use cases over its looks, then breathtaking images alone cannot do justice. You need a persuasive description to seal the deal. 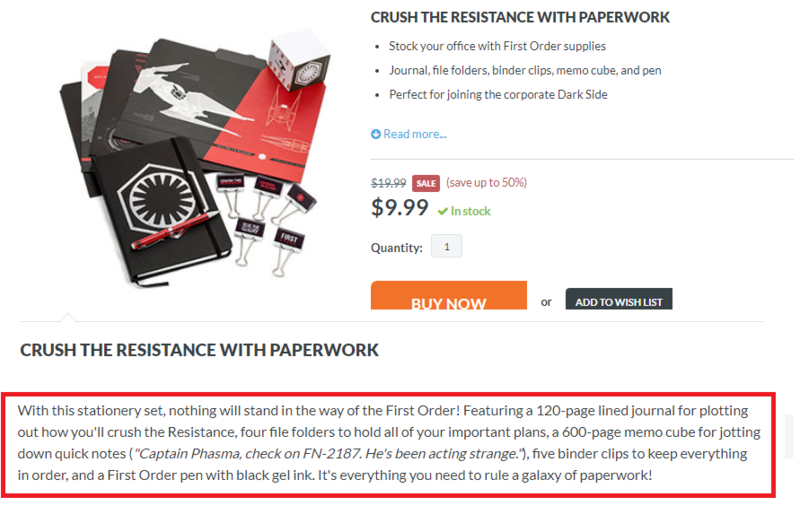 In this post I’ll show you how to make the product descriptions do their job well. It’s very easy to say that you know who you’re writing for. But do you really understand their problems, hopes and fears? Do you know what their desires are? There is a person who is the hero of every BBQ or family cookout and that is the Grill Master. We always looked up to our Mom or Dad as they tended the grill and looked forward to the day when we could be in charge of charring the meatstuff and searing delicious slices of fresh pineapple. Now that we’re adults, it’s finally our turn and technology has smiled upon us, giving us a tool that is destined to impress. 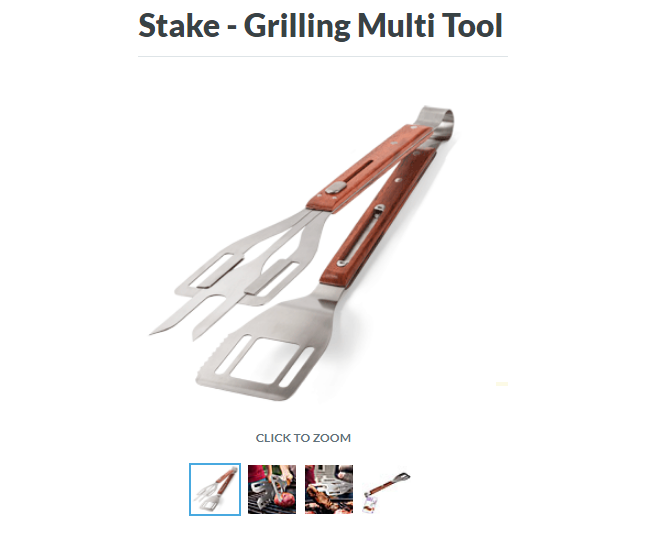 Be the star of the cookout with the Stake Grilling Multi Tool. This all-in-one BBQ tool transforms from spatula to fork to tongs and back again. Flip burgers, grip chicken legs, and spike sausages without breaking a sweat. The smooth leaf spring mechanism makes the tongs easy to control. The handles can be locked together in a quick motion, enabling you to flip the nearest burger before it’s too late. And possibly the coolest feature, stab a hot dog with the fork and then slide the fork back into Stake, pushing the dog on to the nearest bun with NO HANDS, MA! This grill is for someone who’s probably in the age group of 25-35. They have seen their parents tend the barbecue as a little kid. It’s been an integral part of their family culture and get-togethers. They’ve always had the desire to be in charge of the BBQ grill like it’s a very adult thing to do. But now they want a simple tool to manage everything single-handed and impress their friends. This also shows that the person is warm, friendly & social. Put on a countdown timer for 45 minutes and do it for your customers. You’ll be surprised by the enormous clarity it brings to the table. People always buy products to solve a problem. Focus on what the problem is. For example just the other day I wanted to stew an apple for apple puree and realized that I needed a multi-tier steamer, so I instantly went online to order it. Bang on! That’s exactly what I needed because I was going to make apple puree for my little one and wanted to make sure he gets all the iron from the apples. So when you start focusing on the problem over your product, you start writing descriptions that seal the deal every single time. Imagine your’re out in the market to buy a phone. And the salesperson tells you about an amazing feature, he says it’s got ‘Optical Image Stabilization’. How does that sound? I am sure it sounds like some tech jargon and makes you feel a little stupid. You need features and benefits both to make a sound argument that sells. The rational brain wants to learn about the features and the emotional brain wants to the bottom line benefits. Notice how they say, it has got Optical Image Stabilization so that you can get every detail right in your night and day photos. And Studio Lighting (that’s a feature) so that your photos look more dramatic (the benefit). So What? after stating a feature. 4 file folders so that you can hold all your important plans. 600 page memo so that you can jot down quick notes… You get the drill! Now is the time time to write a description based on what you learned. Suzanne has shared every detail of her transformation, from the very first days of starting keto to her most recent successes, on her popular blog, Keto Karma, as well as on her YouTube channel and Instagram page. Her first book, Simply Keto, isn’t just a cookbook; it’s a portal into Suzanne’s life and dieting success—how she accomplished the incredible feat of losing almost 40 percent of her total body weight and developed a healthier and more balanced relationship with food. In this book, she shares everything you need to know to get started and find your own success. This one falls short on many grounds. For starters, it talks too much about the product i.e. the book & the author. And not as much about the real problem it solves. Now let’s improve it based on what we’ve learned about personas, highlighting the problem and enticing with the benefits. Are you tired of ludicrous weight loss advice being thrown at you? Nothing’s step by step and easy to follow and is all led by opinions. Which advice should you pick & stick to? Will it even produce a result at the end? Add your busy schedule to the mix and the struggle becomes real! Having helped thousands of men and women see a desirable number on the weighing scale with her Keto diet plans for beginners, Suzanne has shared key insights & tactical advice from her journey in this hands-on guide. Notice, how we focus on the real problem of not having anything step-by-step to follow and being bombarded with random information from all quarters of the internet. Keywords Everywhere gives you keyword volume, competition and related keywords. Use these insights to sprinkle keywords strategically. As you can notice, there are related keywords on the right hand side. You can see the search volume and competition for each. The next step is to sprinkle these keywords strategically in the description but make sure you don’t do stuffing. Yes, just do as the step says. Read your copy out loud. Because even though you’re optimizing it for SEO, you’re still not writing for bots. You’re writing for humans. So you need to make sure that your product description is not fluffy- it should convey the point well in a simple language. Ask yourself if this is the same language you’ll use to talk to your prospects if they were sitting in front of you on the coffee table. Record your sound while reading out loud and listen to it. There you go! Those are 5 simple steps to improve your product descriptions. But always remember the one goal per page rule. 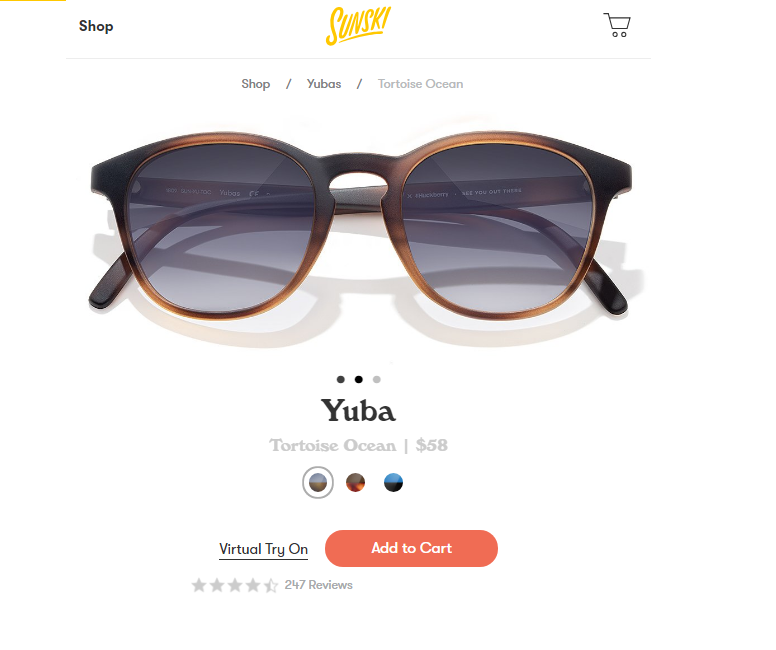 The goal of the product description page is to get people to add the item to their cart, the goal of the cart page is to get them to proceed to checkout. And that of the checkout page is to get them to pay without feeling anxious about it. Drop a comment below and let us what you think about it. Do you have any more points that we missed in the post? How would you be improving your product descriptions? Please go ahead us and let us know. Do you know after Amazon implemented the 1-click buy system, their sales shot up year-on-year hitting $88.9 Billion mark in 2014? Jeff Bezos attributed it to a friction-free & streamlined buying process. At BuildWooFunnels, we're determined to give you the tools you need to do the same in your business. I am Tavleen and I help you get their faster. Every sale without an upsell funnel is a lost opportunity. What's stopping you from putting yours in place?